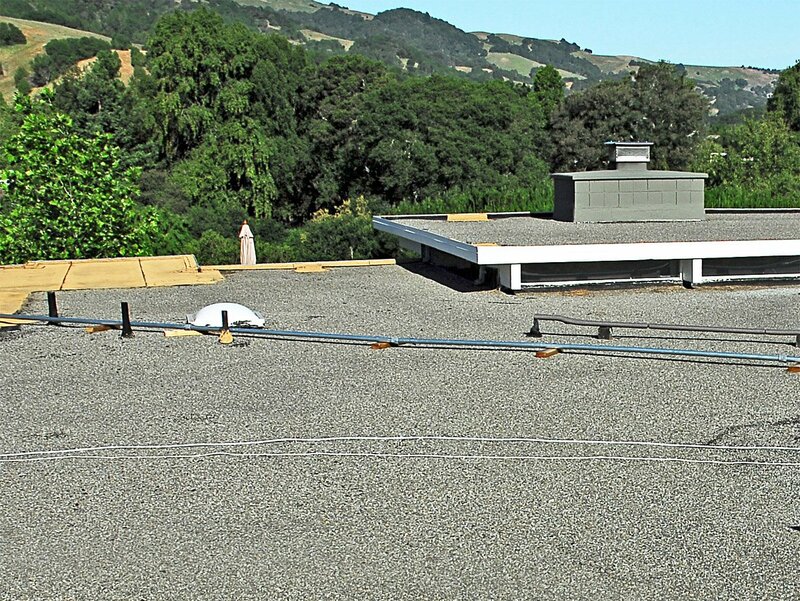 several solid systems to choose from when replacing flat and low-slope roofs. They include polyurethane foam, single-ply, and modified bitumen. Tar-and-gravel system: now out of date. Cap sheet system: more for commercial. When it comes to a test of your home-owning skills, there may be no scarier, more critical subject than reroofing. Fortunately for today's homeowners, it's a multiple-choice test. And of course, there are special questions as part of this exam for homeowners of the typically flat roofs of mid-century modern homes. The wrong answers to some of those questions, it should be pointed out, reduced the integrity of some Rancho-style homes in the Long Beach area designed by Cliff May, in at least one observer's opinion. 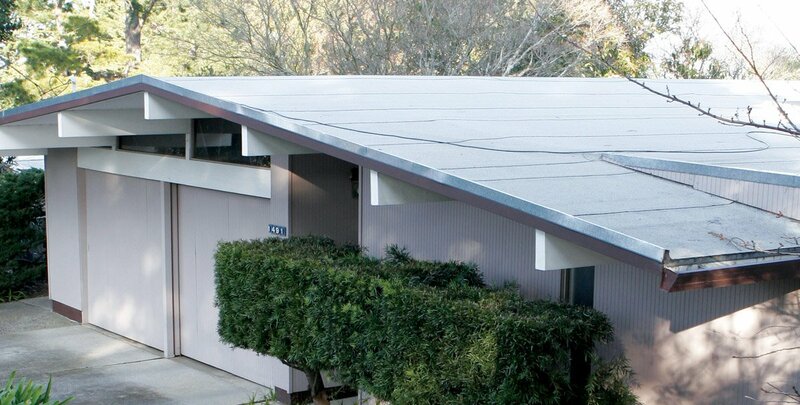 Rochelle Kramer, a Rancho real estate specialist with SoCal Modern, pointed out how many Rancho homeowners in the 1970s and '80s tore off the original tar-and-gravel roofs, which had built-in rain gutters. Replacing them with composition shingles and new gutters tacked onto the fascia is where they failed their test. "There were two problems with that," according to Kramer. "One, it took away from the originality of the home to put on composition shingle—a rock roof is the appropriate style for the house. Two, rain gutters detract from the [look of the] roof. And three, we found that the insulation qualities of tar and gravel were better than the composition shingles." So clearly, mistakes can be and are made. If you make them regarding which type of roofing you choose, it may be a regret you have to put up with for several years. In the mid-20th century, tar-and-gravel was the prevailing material because many of today's options had yet to be invented. Now, there are more choices. 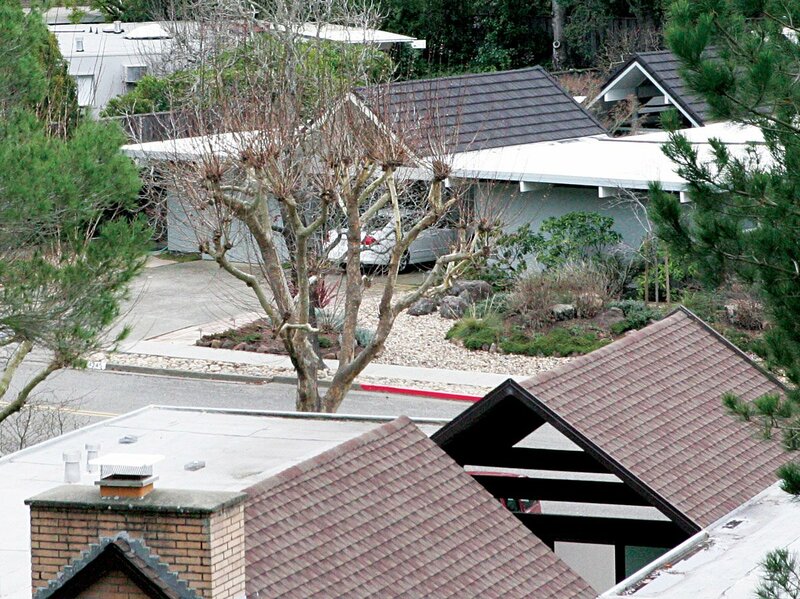 "People have moved away from tar-and-gravel roofs because they are constructed with asphalt, which is heated to 475 degrees and emits VOCs [volatile organic compounds] that are polluting the environment," said Will Knapp, president of Gardena-based Central Roofing. "It's just outdated technology." A variation on the tar-and-gravel system is the mineral cap installation, which, instead of being topped with loose gravel, uses a material with small rocks embedded in it. "It's used more on commercial buildings," one mineral cap installer told us. "But it's really easy to clean, and you can use a blower to blow debris off the roof." The first popular alternative to T&G for modern residential homes was modified bitumen, an evolution of asphalt roofing that proved to be a significant improvement.